As the sixth anniversary of his extended stay in the Ecuadorian Embassy in London approaches, WikiLeaks editor-in-chief Julian Assange is faced with increasingly limited options. Barred from communicating with the outside world and from receiving most visitors, Assange’s only hope of avoiding extradition to the United States on trumped-up espionage charges comes down to the governments of the two countries of which he is a citizen: Australia and Ecuador. Unable to intervene in the due process of another country’s court proceedings or legal matters. However, given the fact that Sweden has dropped all legal proceedings against him, and with his protected status at the Ecuadorian embassy in question, Australia is now coming under unprecedented pressure to act. 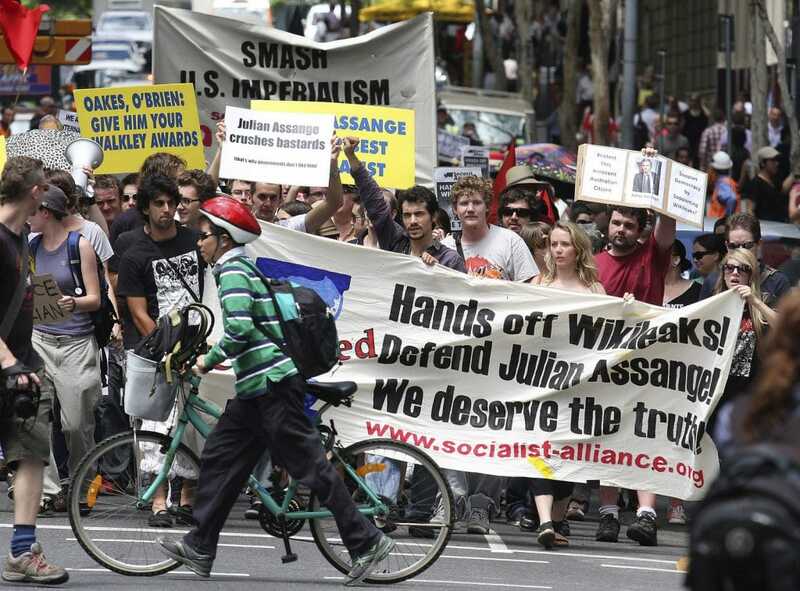 And the political pressure the Australian government is facing involves the broader implications the Assange case holds for Australian citizens as a collective, not just for Assange as an individual. The issue at stake for the Australian government is its commitment to the protection of the human rights of its citizens, including internationally recognized legal and democratic norms such as free speech, the right of due process, freedom from cruel and degrading treatment, and the right not to be punished in the absence of a criminal act. Indeed, Assange’s detention in the embassy has been carried out in the complete absence of criminal charges, as the only remaining legal justification for his arrest by the U.K. government is his breach of bail. However, as Hoffman writes, a breach of bail would not lead to incarceration in the U.K., as the primary punishment for such infractions is the payment of a bail bond, which was forfeited in Assange’s case. Thus, the only reasonable conclusion regarding the U.K.’s intention to detain Assange if he leaves the embassy is that it is to extradite him to the United States—the very basis for his protected status. Thus, if Australia reneges on its obligations to protect Assange and fight for his rights, the implications such actions would hold for every other citizen of the country are as vast as they are chilling. It would set the legal precedent for Australia to allow any of its citizens to be detained, imprisoned and/or silenced by another government without charges, greatly weakening the rights of any Australian national living or traveling abroad. Essentially, it would mean that many of the rights granted to an Australian by right of one’s citizenship would evaporate the second he or she set foot on foreign soil. Were Assange anyone else, the Australian government would be forced to act–at the very least–to maintain the appearance that it is committed to the rights of citizens and its own national sovereignty. However, Assange is no “normal” individual in this sense–his arrest is a “priority” to the U.S. government, which is now seeking to maximize pressure to extradite Assange while his protected status is at its weakest. Thus, the degree to which the Australian government is influenced by the United States will be the deciding factor in this case. That influence, particularly under the current government of Australia, is as strong as ever and has been undeniable for decades. Indeed, since World War II, Australia has been very much a part of U.S. empire, hosting numerous U.S.-related military facilities and consistently offering support for U.S. wars in exchange for “preferential” access to U.S.-manufactured weapons. That relationship has only grown stronger in recent years, in part due to Australia’s major role in facilitating the U.S. military’s “pivot to Asia” that was first announced under Barack Obama. With the current prime minister of Australia, Malcolm Turnbull, having been a former executive at the U.S.-based “vampire squid” bank Goldman Sachs, the past influence of the U.S. on Australia’s government remains a factor that continues to demand attention. Will the long-standing influence of the U.S. military-industrial complex be enough for Australia to choose to jeopardize the rights of its other 25 million citizens by setting a dangerous precedent in Assange’s case? The extent of the “consular assistance” that Australia has now extended to Assange will effectively answer that question. While Australia susses out its position, the most pressing threat to Assange’s security seems to come from the country that first granted him asylum, Ecuador. Once defiant in the face of U.S. pressure, Ecuador under President Lenín Moreno has sought to return to its neo-colonial status under the thumb of the United States, despite Moreno’s having campaigned as a loyalist to former President Rafael Correa, who had granted Assange asylum in the first place. Moreno welcomed the visit and expressed his admiration for the United States … He said that Ecuador had to get past its cultural inclination to always play the ‘blame game’ with respect to its problems, which so often includes blaming the U.S. for one thing or another … He will be a useful partner and advocate for many of our development assistance programs, and he will likely also be a useful and strategic conduit for political messages that may be difficult to deliver directly to Correa. This past Saturday, Correa’s Twitter account tweeted a screenshot of this same document, leading some to suggest that the document’s publication by Assange’s organization helped motivate Moreno’s recent decision to silence the journalist. As the document foretold, Moreno indeed has sought to return his country to the sphere of U.S. influence. He has barred Correa from running for re-election and removed Correa loyalists from his cabinet. He has also begun paving the way for the U.S. military to regain its foothold in the country, which was abruptly ended in 2009 when Correa expelled the U.S. military from its base. The only exception is Ecuador’s granting of citizenship to Assange. However, this was done behind Moreno’s back and orchestrated by Correa ally María Fernanda Espinosa of Ecuador’s Foreign Ministry. As in Australia’s case, the actions of Moreno’s government in the Assange case will have similarly far-reaching implications for the rights of its citizens, especially if Moreno chooses to revoke Assange’s asylum. 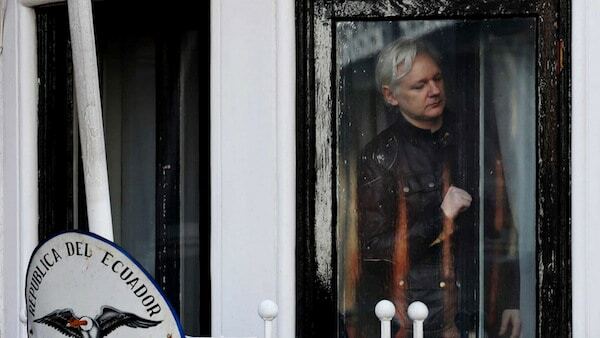 Yet, while Moreno is likely to avoid revoking Assange’s asylum directly, his decision to gag Assange suggests that he is opting to make Assange’s stay in the embassy so miserable that he will choose to leave of his own accord. Correa has hinted that this is the case, as he has called Assange’s current treatment by Ecuador within the embassy a form of “torture,” and also noted months prior that Moreno was set to ensure that Assange’s days in the embassy were numbered. If Ecuador is willing to “torture” one of its own citizens in an effort to force him to “voluntarily” rescind its protections, its commitment to protecting the right to free speech and even the very dignity of its other citizens is immediately called into question. Translation | Moreno delivers Ecuador to the USA, part of his betrayal of our people and the Patria Grande (shared homeland). Assange’s days in Ecuador’s embassy in London are numbered. While the “vassal state” status of Australia and potentially Ecuador may do much to endanger the status of Assange, a negative decision by both governments on this single case would also set dangerous precedents for the rights of all citizens of both of those countries, a combined population of over 41 million people. As a result, the outcome of Assange’s case could well be much more damaging to Australia or Ecuador than the content of any past or future WikiLeaks release. If both countries fail to act on their obligation to protect one of their own, it will force them both to acknowledge that their citizens’ rights and their national sovereignty come second to the lures and demands of the American empire.